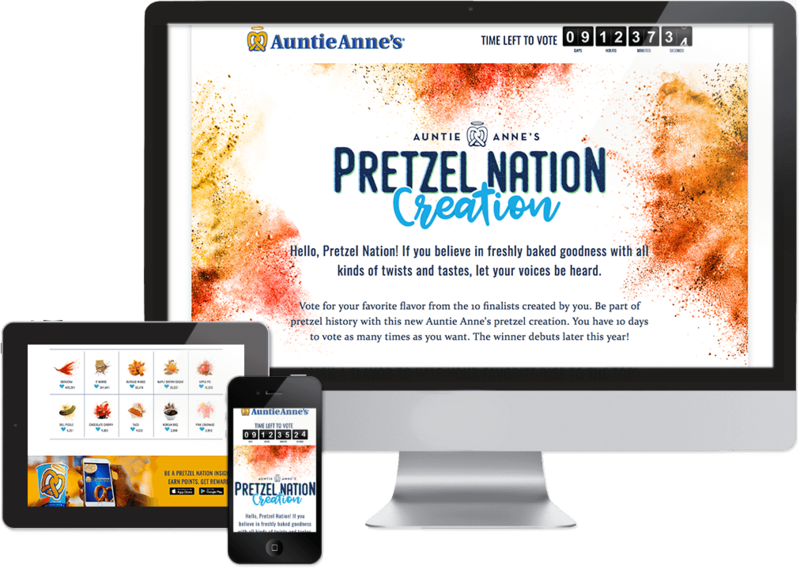 Auntie Anne’s wanted to let their customers decide what their new pretzel flavor should be. So they rounded up 10 potential flavors and gave the public a 10 day free-for-all, vote as many times as you’d like online contest. In 10 days over 1.4 Million votes were cast with Sriracha claiming victory. This responsive website was built using Wordpress and Sass/CSS3.